Pirate radio stations around 6MHz have been using that part of the spectrum for many years. They often populate that part of the band, and in the main don’t seem to cause the primary users any issues. The primary users sometimes put a STANAG signal on top of the pirate music station, I doubt they even notice the radio station. The KIWI now has a Time Difference of Arrival function, you can use this to help identify the likely location of an HF transmission. This evening 6316.5 KHz was active with a music station, and I guessed this may be located in the UK. 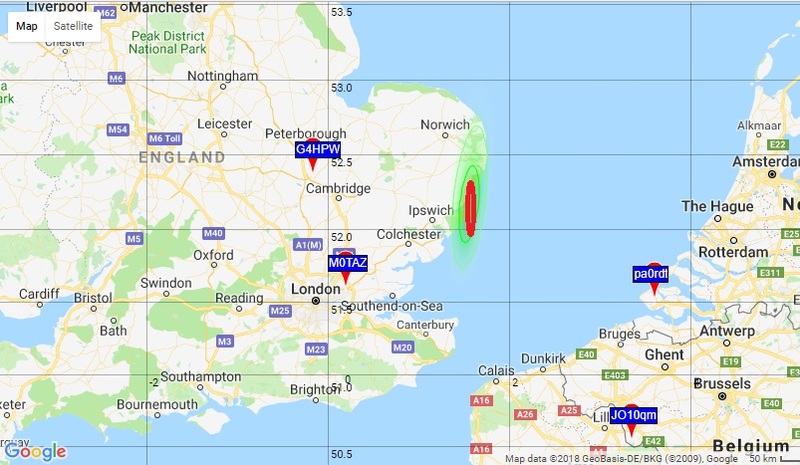 I selected 3 KIWI receivers located around the SE of England and achieved this fix. The accuracy can be very good, but much depends on the location of the receivers relative to the transmitter. I repeated this one a few times, and the location did change but always remained in and around Coventry, Solihull area of the West Midlands. The signal was very strong in the evening, indicating the station was likely to be 100 to 500 KM. 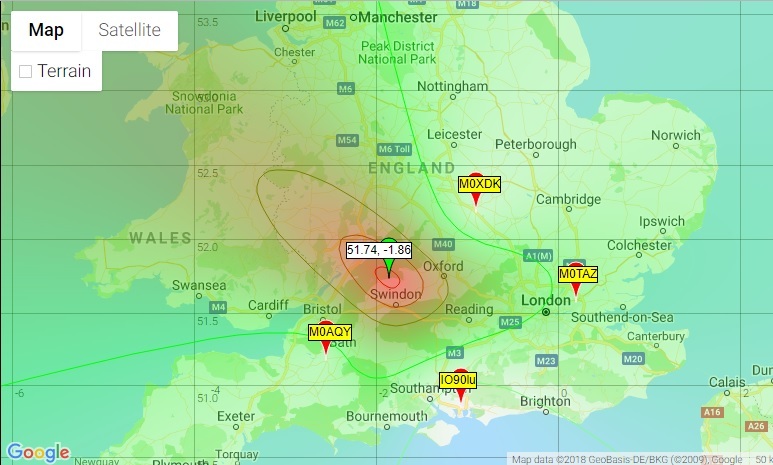 The TDoA located it as seen below to Cirencester near Swindon UK. A further example can be seen in this map, resulted from TDoA Radio Caroline.